Economics is divided into 2 branches: macroeconomics vs microeconomics. Similarly in token economics, we can divide the various categories into these branches. Traditionally, macroeconomics looks at business cycles and economic growth. It means understanding how the economy, as a whole, behaves by looking at indicators. For example, inflation, price levels, income level, etc. This is where your governance comes in (see where I’m going?). For example, monetary policy and fiscal policy. These are movement or actions by the government to make sure that the economy is healthy. For example, we don’t want inflation to be too high or inflation to be too low. Macroeconomics also includes analyzing how different sectors relate to each other, especially in times of international trade. For example, how does consumption, investment, savings and international trade affect each other? What policies (or rules) the government needs to have, to ensure that the economy is healthy and balanced? Economic growth is just growth of your economy or ecosystem. Here, we want to understand the factors that contributes to the long-run and income growth. For example, technology innovation helps economic growth as according to the Solow Growth Model. So, what’s the link with my token ecosystem? This link is in the design of your token. Although token ecosystems do not have a centralised government to respond to changes your ecosystem, there are rules that can be coded and embedded. For example, MakerDao uses various stability mechanisms like target rate feedback and risk parameters to govern the ecosystem. We can also analyse the aggregate behaviour of the economy. 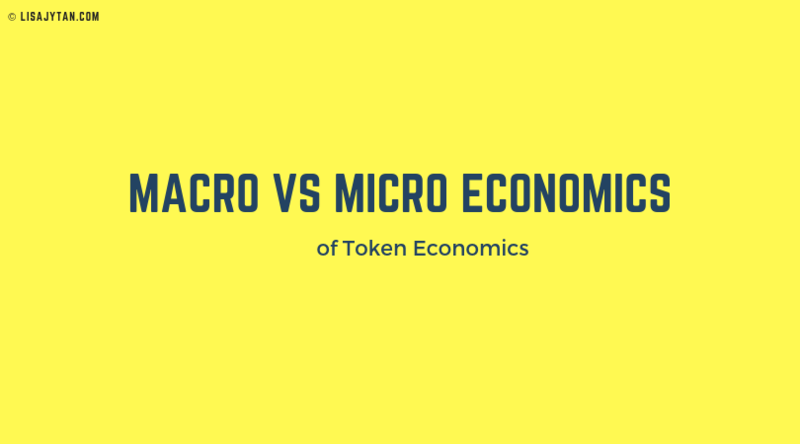 If the token function is a currency, there are plenty of literature to analyse the inflation model, interest rate, allocation of tokens, supply and creation or burn rates. Since token ecosystems are a form of business models, you have to consider the long-run growth and factors contributing to it. And it is also important to remember that these factors have to be endogenous, not just exogenous. For example, if your business model is tokenising common data, what are the internal factors (endogenous) that will affect the long-run growth? Maybe proprietary IoT technology hardware, sale of data with confirmed partner, etc. If the token function is a security, check out financial literature on asset valuation, profit distribution and other relevant factors. As the name suggests, microeconomics focuses on individuals actors. The 3 types of actors in the physical fiat economy are households (people), firms (companies that hire people), and government (sets rules for households and firms). It means understanding how actors behave, as an individual, given the limited resources. For example, why you are happier drinking the first cup of tea than the 10th cup of tea in a row. Microeconomics looks deeper into various allocation mechanisms of resources, methods to extract the right value from participants, and how people make decisions. We look at demand and supply, production theory (inputs to outputs), production costs, etc. The field is endless. This link is in the design of your market and mechanism. 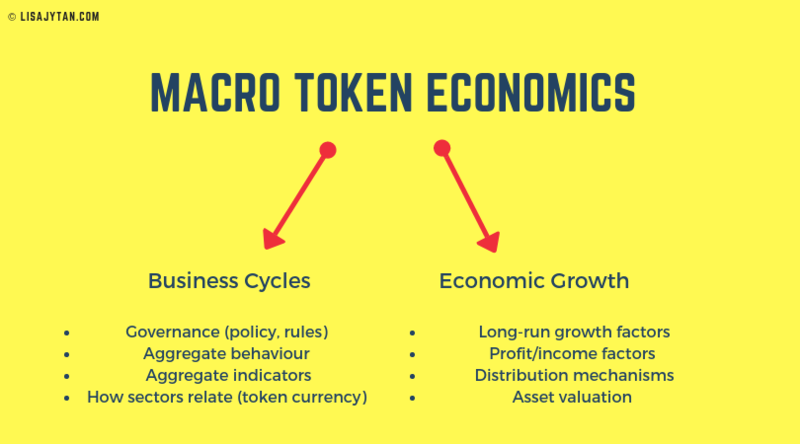 These are part of the factors to consider when designing a token ecosystem. There is not “right answer” or “perfect model” for the ecosystem. It depends greatly on the token function, use-case, business model, etc. The only way is to read, apply, test, improve. 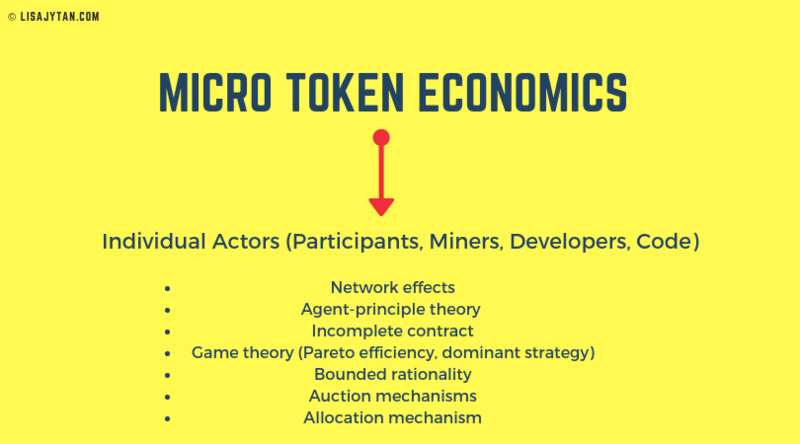 In the next few videos and articles, I will share more about each field in details and its application to token economics.